MDM Landscapes are experts when it comes to hardscaping. Hardscaping and softscaping go hand in hand as they are two parts of a bigger picture of landscaping. When imagining your front or back yard, there are many different elements to consider. Will there need to be a pathway, water features, or fencing? Whatever your hardscaping needs are, MDM Landscapes are the leading landscaping company to call. We are the experts to help with any hardscape and design needs. Call us at, 817-396-0125, to schedule an appointment for hardscaping services in the Dallas-Fort Worth, TX area. When it comes to landscaping, there are two halves to the one whole: hardscape and softscape. While both may be necessary for your yard, they are two different aspects of landscaping. What is the difference between hardscape and landscape? Hardscape refers to the heavier items used in landscaping: stones, rocks, patios, and driveways. Softscape refers to the softer parts, really just everything else: soil, plants, flowers, and color scheme. Hardscaping: these are the elements that are going to stay the same for years like stone pathways and concrete driveways. Softscaping: these are the elements that are going to change as they mature through the years like flowers and plants. A hardscape and masonry project should flow with the rest of the landscaping. The pieces and decisions made should make sense for the style of your home, your yard, the overall concept. There is a balance to strike between the hardscape items like a brick pathway and the softer items like a flower garden running alongside the pathway. Having a hardscape and design team that will work with you is important. MDM Landscapes have years of experience with landscaping, including both soft and hardscapes. What is a Hardscape Project? driveways, patios, fences, and benches. Most of these projects will involve things like stone, brick, wood, and/or metal, but they can even include things like water. A hardscape project can be just about anything and MDM Landscapes have the skills and tools to help you. Clay pots are a great way to incorporate a water fountain or a waterfall into your hardscaping. There can be a lot of imagination with hardscaping. A lot of the designing can include hardscape with rocks, but there are many other variations. Not everything has to be quite so hard. A design can involve different elements, including water. Water features like clay pot fountains, ponds, and waterfalls are very popular. They help to add a soothing and natural element to something typically very hard, even though they may seem counterintuitive. Hardscape and masonry projects like this may require additional plumbing repair if an inexperienced team attempted to create those projects. For quality hardscape and design, MDM Landscapes are the only team to consider. Call us today to schedule an appointment, 817-396-0125. For brick pathways or stone retaining walls, MDM Landscapes are the team to work with. As noted before, there are many elements to hardscaping. When choosing hardscape and masonry, it’s important to make sure that the pieces works together with the rest of the landscaping. Adding a stone retaining wall where one is not needed is not only costly but can possibly lower your resale value later on. No matter what you’re planning – a stone retaining wall, a brick pathway, or a gazebo – there needs to be a flow to the landscaping pieces. The hardscape and design of your property should make sense for your particular yard. For quality hardscape and masonry services, MDM Landscapes are the company for you. We don’t just put together some stones and call it a day. We help you create decorative and structural elements that will last. And because there are many moving parts to hardscaping, including numerous hardscaping tools for any given project. For hardscaping services in the Dallas-Fort Worth, TX area, contact MDM Landscapes 817-396-0125. Hardscaping refers to any design involving stone, rocks, patios, or pathways. This could decorative or structural elements in a yard. What is the difference between soft and hard landscaping? Soft landscaping refers to elements such as soil, plants, and flowers. Hard landscaping refers to elements such as stone, patios, and driveways. How much does hardscaping cost? The cost varies per project, but on the low end, clients can expect to pay around $3,000 for something like a pathway or a pergola. Retaining walls and fences are more expensive and the actual cost will depend on the overall length desired. For quality hardscape services, MDM Landscapes are the unbeatable team. Our contractors have the necessary skills to execute quality hardscape creations. We work with your schedule and your budget to provide your home with incredible landscaping and hardscaping. Call MDM Landscapes, 817-396-0125, for hardscaping services in the Dallas-Fort Worth, TX area. Posted in Uncategorized on April 15, 2019 at 1:14 pm by MDM Landscapes. As a homeowner, you want your home to be the best on the block. This means extensive landscape design along with regular exterior home care. But where do you start? Many homeowners shy away at the thought of a new landscaping project. However, your home landscaping and maintenance processes don’t have to be stressful or overwhelming. Following these tips can help you have the curb appeal you’ve been looking for. How Can I Improve my Landscaping? Smart Home Landscaping Begins With a Proper Plan. We’ve all been there. You move into a home and the yard is grass. There are no trees, bushes, or flowers; no sidewalk or pathway or dimension at all. But landscaping ideas can be difficult to come by, especially for people without a green thumb or eye for design. Luckily, there are steps that you can take to create a beautiful, relaxing exterior for your home, whether you are a style extraordinaire or have never planted a flower. What is the Landscaping Design Process? Landscape design can be approached in various ways. However, the simplest way to consider your exterior project is beginning with the outer edge and working inward. This helps to create boundaries naturally and can aid in planning location and object use. Once you have your boundaries, you can plan the materials that will be used including stones, plants, shrubbery, and any statues, decorations, and other features you plan to have. When you have your concept plan, you can begin work on your masterpiece. Be sure to check weather predictions before beginning to ensure that your project goes quickly and smoothly. In landscaping, there are certain basic principles that one should follow to achieve an appealing space. These landscaping basics can help you design a simple, pleasing atmosphere easily. Use the theory of “the golden rectangle” to arrange and place both your live and stationary objects. This theory, also known as the golden ratio is explained as the ratio between the long and short sections is equal to the ratio of the long section to the sum of both sections (a/b=b/a+b). This ratio can be found in almost every object, both living and nonliving and is said to create the most appeal. The order of your objects is also important. It’s a good idea to arrange your plants in groups and by size from front to back. This way, each type stands out to the fullest extent. You also want to consider balance between hardscapes and plantlife to ensure that your landscaping project doesn’t turn out to feel or appear lopsided. This concept demonstrates the idea that all of the items within your space are connected and work together to create a big picture. Ensure that your landscape design plan not only includes spatial arrangement, but also a clear picture of what the entire project will look like. Landscaping can increase the value of your home, but only when other exterior services are completed. All siding installation and repair, fence repair, roof work, and window services should be completed along with your landscaping to ensure complete exterior upkeep and value maximization. In order to keep your property adequately maintained and cared for, inspect your siding, roof, and secondary components at least twice per year and after severe weather. This will help to identify and alleviate damages and imperfections before they turn into big problems. When Does Landscaping Season Start? Typically landscaping takes place in the Spring, around the beginning of March. This protects against the majority of freezes which can easily freeze sensitive plants and still leaves sufficient time for growth before flowering in the Summer. Some landscaping is also done in the Fall and includes sprinkler and irrigation inspection, and Winter annual planting. An Expert Can Help You Choose the Right Plantlife and Hardscapes for Your Look. Add a Splash of Color: Small, inexpensive plants are perfect for lining flower beds and trees and provide a colorful, pleasant atmosphere. Line Your Beds: Concrete and rock liners are available at most home improvement stores and can add extreme depth to your home’s exterior. Consider lining the outside of your flower beds for added structure and appeal. Don’t Rule Out Decoration: A well-placed birdbath, fountain, or other objects can bring new life to a drab space and can be picked up at most home supply stores. Whether you’re designing your home’s exterior landscaping for the first time or you have decided that it’s time for a new look, the professionals at MDM Landscapes can help. We work with you throughout your landscaping project to deliver the look you expect and a price that’s right. Call us today at 817-396-0125 to learn more about our landscape design services in Dallas-Fort Worth, TX. Posted in Uncategorized on January 8, 2019 at 8:54 pm by MDM Landscapes. How Do I Stop My Yard From Flooding? Get Better Lawn Drainage If Your Lawn Or Yard Keeps Flooding. When it rains really hard, we are really concerned about flooding in our homes. Most of the time our homes are protected against flooding, but that doesn’t mean our yard and lawn are. When there are lawn drainage issues in your yard or lawn, it can cause your property to flood. Not only can this be bad for your home, but it also isn’t great for the environment either. A ton of rain can cause issues with your soil, such as soil erosion, which is when the soil begins to wear away. While soil erosion is caused by a ton of things, water is the biggest culprit. So how can I make my soil drain better? Add drainage to lawn! The best way to prevent soil erosion and have it drain better is by investing in lawn drainage. Below we will discuss how to get rid of standing water with drainage, how it works, and how it can be installed. This is an easier way to prevent flooding in your yard, as well as reduce the risk of soil erosion. How Do You Get Rid of Standing Water in Your Yard? There Are Different Types of Lawn Drainage To Choose From. So how do you get rid of standing water in your yard? There are a couple of things you can do. 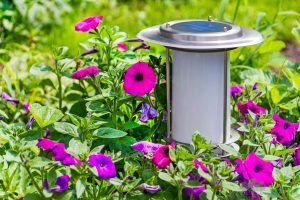 You can level your yard better, add more soil, plant more grass and plants, invest in rain barrels to catch rainwater, or you can get lawn drainage systems, which are relatively easy to have installed. There are a couple of drainage systems that you can use to remove standing water from your yard. Drainage Pipe: With a drain pipe, you are able to move standing water from your yard or lawn and away to a different place. The way that it works is that the start of the drain (where the water enters) has to be at a higher level than where it will exit. If you add the drain pipe at the lowest point, the water will be unable to move forward, this is why the drain needs to start at a higher level. 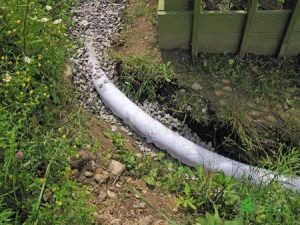 It’s relatively simple to add a drainage pipe to your yard, all you need to do is dig a trench for the pipe to go, then add a drainage inlet where the drain will catch the water, and drainpipe discharge where the water will exit. Dry Well: Another option for homeowners to consider is a dry well. A dry well is a well that is installed underground to catch water. The water will sit in the well and flows into the ground. This way your lawn isn’t getting wet and soggy, but your soil is getting the water that it needs. Again, this type of drainage system works well when it is installed at a lower point than the house; this way it can catch the rain that is flowing down your yard. The way to install a dry well is to dig a big hole and adding the well. This type of well will need little puncture holes in it in order to release water into the soil. They will need gravel or an aggregate material installed around the well to keep dirt out of the well. French Drain: A french drain works exactly like a dry well, except the french drain is in pipe form. When it rains, the water will make itself into the French drain, which has tiny holes in it. This will enable the rain to move away from your lawn but into the soil through the tiny holes that are in the French drain. To install the French drain, you will need to dig a deep trench just as you would for a drainage pipe. However, the French drain will need to be installed in the areas of your lawn that get the most flooding. In order for dirt and other debris to stay out of the French drain, you will need to add gravel or another aggregate material that will filter the water from the dirt. Out of these three choices, the most popular choice is the French drain. 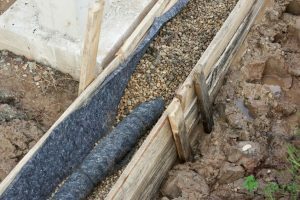 How much does a French drain cost? If you are installing the French drain on your own, it is going to cost a little bit more because you have to rent the equipment and buy the materials. For someone to install a French drain for you, you are looking at spending somewhere between $300 to $1,500 depending on the size of the drain. How Do I Put Drainage in My Lawn? Depending on the Lawn Drainage Will Depend On How It Is Installed. So how does lawn drainage work? It works by removing water that is pooling in your yard and moving it away so that the yard doesn’t flood. As stated above you can use different types of drainage systems such as drain pipes, dry wells, and French drains to move water away from your lawn. Some homeowners even have sump pumps installed in case the flooding from your lawn becomes too severe and causes flooding in your home. For those who are interested in lawn drainage for their homes, they tend to want to know how to do lawn drainage. The answer is that you have to install whatever lawn drainage system you think will work the best for your home. If you get flooding in certain areas of your yard, it might be a good idea to get a French drain. If your home is at a higher level than the street, you might consider having a drainage pipe installed. With each lawn drainage system, there will consist of a lot of digging. You will need to dig a trench for both French drains and drainage pipes and then a large hole if you want a dry well. You will also need the proper materials, such as PVC piping, and a perforated well for a dry well. It’s a good idea to consider PVC piping insider of copper, so you can avoid a copper pipe burst. If you are wanting more answers about drainage for your Dallas-Fort Worth, TX lawn, please call MDM Landscapes at 817-396-0125. We have the best solutions to give you better drainage for your lawn and yard. Posted in Uncategorized on November 6, 2018 at 9:04 pm by MDM Landscapes. 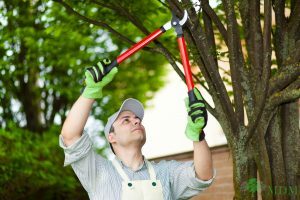 Careful Pruning and Maintenance Can Help You Prevent Catastrophic Property Damage. 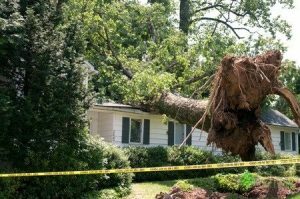 If you’ve ever seen a tree collapsed on top of a home, you’ll understand how much damage an unkempt tree can cause. Regular pruning and general maintenance can help you protect your home from these disasters. If you’re not sure how to get started, here’s a quick guide to help you out! You can begin your tree care by pruning away dead limbs or those extended over your roof. This will improve the health of your tree while simultaneously reducing the potential for rooftop damage. Untrimmed branches could lead to costly roof repair after the next wind storm. You’ll also find that pruned trees are much more attractive than their counterparts. Can Tree Roots Damage a House Foundation? Roots however, are an entirely different story. If allowed to grow too close to the house, a tree root can destabilize the soil surrounding your foundation. This can lead to shifting that can seriously crack your foundation. Tree roots also have the nasty habit of invading pipes, such as your sewer or main water line. It’s not unusually to see roots press against pipes until they crack, then grow into the pipe itself to form a clog. To guard your plumbing and your foundation, make sure your trees are planted far enough away from your house, or have the roots cut back by a professional. Schedule Your Tree Pruning Today! If you need expert assistance in caring for your trees, the courteous team at MDM Landscapes would love to serve you! 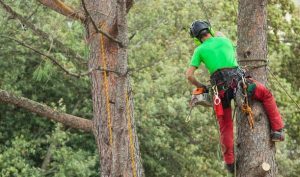 Give us a call today at 817-396-0125 and get an estimate for your professional tree trimming and pruning. Posted in Uncategorized on September 25, 2018 at 6:13 pm by MDM Landscapes. Do Landscaping Services Increase Property Value? Ever pass by a street where all the yards are lush and green, then there is that one house with the brown, overgrown yard? It really throws the whole dynamic, aesthetic, and cohesive look of the neighborhood off. Lawn maintenance not only shows that you care about your house, but it can also be safety measure, showing that someone is actively home and living there, preventing burglars. While extensive landscaping services can get expensive, there are some basic lawn maintenance skills and affordable lawn service companies who can help you get a nice looking yard. For landscaping services in Godley, TX, call MDM Landscapes at 817-396-0125 today. According to a 2018 National Association of REALTORS Value Survey, randomized REALTORS members ranked that they found lawn care to be the most appealing and the most likely added benefit to a home’s resale value. 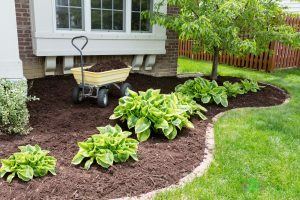 Landscaping can be as simple as applying mulch, mowing, pruning, or planting a garden. It not only gives you a hobby and responsibility, but it significantly increases resale value. 74% of realtors have suggested getting a landscaping service job before selling a home. 17% of homeowners have reported that getting the lawn makeover helped them complete the sell. While it might take a few years to see your results, planting trees not only spruce up your bare yard, but help to provide shade, cooling, and fun outdoor play areas for your children. Should you need removal of an overgrown or dead tree, require professional assistance as this job is dangerous. Based on the results of this study, lawn maintenance and landscaping services will drastically help you when you put your house up for sale. The rich aesthetics of your new lawn draws in potential buyers… and helps seal the deal! If you don’t have a green thumb or like the outdoors filled with UV rays and insects, there are plenty of landscaping services available to call for help. If you are looking to put your home on the market and need landscaping services in the Godley, TX area, call MDM Landscapes at 817-396-0125 today. Posted in Uncategorized on July 20, 2018 at 6:41 pm by MDM Landscapes. Keeping Your Garden Healthy and Hydrated Doesn’t Have to Be Expensive. Summers here in Dallas-Fort Worth, TX can be hard on gardens. 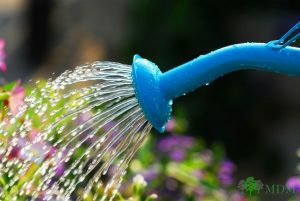 In order to keep your plants and flowers at their best and most beautiful, you may think you will need to water them more. However, this can lead to high water bills and may not be the best way to keep your plants healthy. There are a few ways you can improve your gardens utilization of water without watching your water bill soar. We have compiled some quality tips for your garden so that you can conserve and grow. Plan Your Plants – Different plants have different needs. When choosing plants for your garden, take the time to consider its particular water needs. Try to select plants that either has low water needs or are native to your region. These plants will be able to work with the heat and natural rainfall to thrive. Mulch It Up – Mulching provides a plethora of benefits for gardens, including helping your plant conserve water better. Mulch will prevent water loss, meaning your plants can best utilize the amount of water you have given them with minimal loss. Also, mulch can prevent weeds from springing up and stealing the water your garden needs. Use Porous Stonework – When designing paths through your landscape or garden, try to choose materials or stones that will allow rain to pass through into the ground. This will allow that water to redistribute to your plants, minimizing the amount you need to spray them down and allowing them to flourish. Your home or business can have and maintain a beautiful garden this summer while conserving water! Want more tips or to get started on your new landscaping look? MDM Landscapes provides you with quality landscaping and services in Godley, TX. Reach out to our experts for your landscaping needs by dialing 817-396-0125. Posted in Uncategorized on June 18, 2018 at 4:28 pm by MDM Landscapes. There’s no denying that a beautiful exterior can draw in customers. Whether it be from amazing architecture or artwork, well-designed marketing signage, or greenery, what is directly outside your business can seriously affect the profits going on inside it. Landscaping is a great way to attract clients as it is so attention-grabbing. Here are some tips on how to enhance your business’s curb appeal with landscaping. If your sign is not noticeable, how will people know to come into your business or recommend it to others? Is your company’s logo being blocked by overgrown trees or bushes? MDM Landscapes offers trimming services. We also provide lighting installation that will help to put your sign front and center in everyone’s minds. Colors automatically catch the eye. Planting bright flowers around your business will not only attract customers, but help the environment. Keep them healthy with fertilizer and soil aeration. You’ve now got this beautiful flower bed. Immerse shoppers in them by placing walkways in between your gardens and leading it up to your commercial building. This can be greatly beneficial if your business is on unpaved road or land, providing people with ease of walking and comfort while also being very aesthetically pleasing. If you are worried about the flowers being destroyed from being too close to foot traffic, consider getting a retaining wall, which will safely enclose your little garden. Installing sprinklers will preserve the life of your plants and grass. It will keep them vivid, green, and colorful. Dry, dead grass can make shoppers think a commercial building is uncared for and therefore out of business. Show how much you love your business by taking care of the lawn in front of it. If you want to improve your business’s visual with landscaping in Grandbury Dallas-Fort Worth, TX, call MDM Landscapes at 817-396-0125 for any of the mentioned services. Posted in Uncategorized on April 15, 2019 at 1:17 pm by MDM Landscapes. Your yard is the first thing that people see when they pull up to your home. Undoubtedly, you want it to not only look nice, but you want it to be safe. This is where yard lights play a big role. Most people have lights on their homes, but many don’t have lights going up the pathway to their doors. This may not seem like a big deal, but if you are like many Americans, you may get home from work when the sun is about you go down or leave the house in the morning before the sun is up. If this is the case, for your safety, it may make you feel better to have lights put in so that not only can you see where you’re going, but you are in a well lit area. Even if you live in a safe neighborhood, you can never be too cautious about making sure you are in an area that people can see you well. 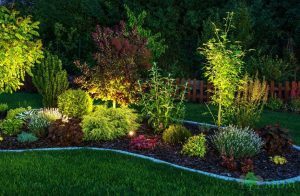 Not only is safety a big selling point, but adding a few lights to your yard can actually change the look and add a little flair of your own. If you have a path that leads to your porch or your front door, you can put a few lights in the ground to guide the way in the dark. This will help you to see better and also gives off a beautiful look to a greatly lit pathway. If this is something that you think you may want or have been wondering about pricing, call MDM Landscapes at 817-396-0125 and we can go over options, pricing, and placement with you whenever you like. Posted in Uncategorized on March 9, 2018 at 7:11 pm by MDM Landscapes.